Koločep Island is part of Elafiti Islands. Locals often call it Kalamota so don’t be confused by this. Calamotta is Greek word for fisherman’s stick which means that the island was inhabited for centuries. Koločep Island is situated only 1km from Dubrovnik, which is approx. 25min by boat. The ferry from Dubrovnik port goes several times a day but we can also help you to organize private transfer too. Other Elafiti islands are two inhabited neighbour islands Lopud and Šipan, and ten more small islands that are not inhabited. Elafiti islands were some kind of oasis for Dubrovnik Republic noble families and their favourite place to hide from the heath and strong summer sun. Koločep Island is definitely our favourite one. We find it great for guests who prefer some type of Robinson holidays. It is covered with pine and olive trees and ideal for walking in shade of trees. There is no car on the island at all, so it is the perfect place to let your children run freely. There is no industry at all too, just clear Mediterranean air with scent of pines and the sea. The only road on Koločep Island connects two small villages: Gornje Čelo and Donje Čelo and it is simply not wide enough for cars. This small trick possibly saved the island from noise and gases from the cars. 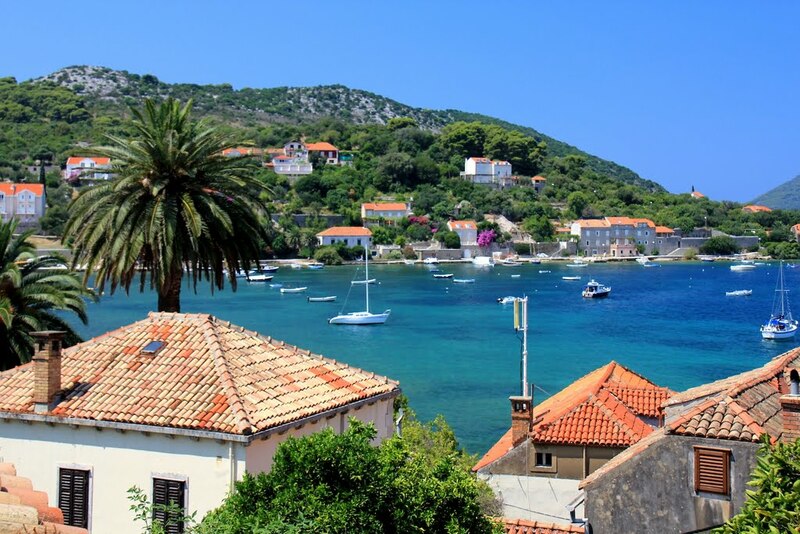 Koločep Island has only 150 inhabitants living there during the whole year. Most locals work in Dubrovnik or live from tourism. Name Gornje Čelo literally means Upper forehead and it is situated closer to Dubrovnik. Donje Čelo means Lower forehead and is situated in a small bay with harbour. You will also find bar and restaurant there. These two places are only 15min walking through pinewood surrounded by private properties. Those properties were used for planting in old times. 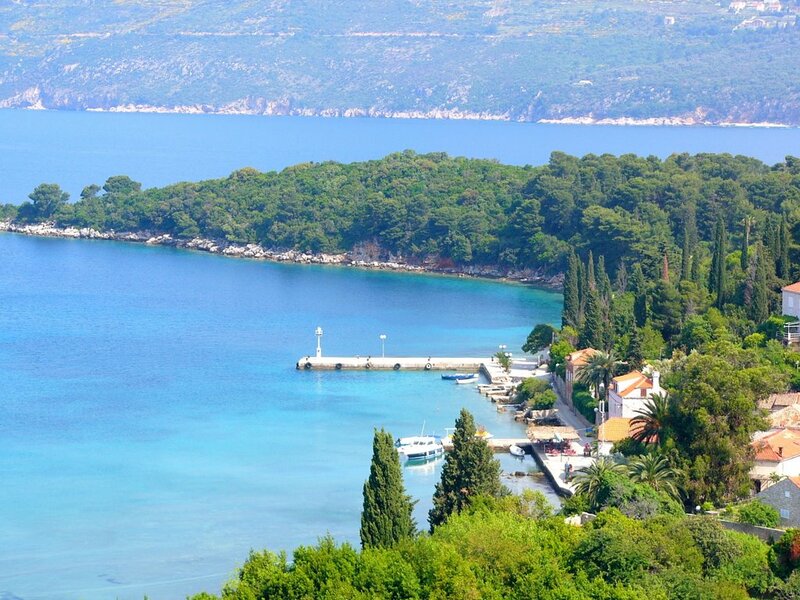 Koločep Island was famous for corals that locals toked out from the sea and sell. Coral earrings or ring are great souvenir from this island. Island was also famous for its seaman’s and for ship building tradition. Did you know that two members of Colombo’s crew on Santa Maria ship were from Koločep Island? There is one interesting small fortress worth of visit on Koločep Island in Donje Čelo. Fortress named Kaštio was built in 16th centuries when Adriatic Sea was filled with pirates so locals used it to hide during pirates attacks. Sadly, upper part of this fortress is ruined, but you can have a walk in its wide basements. The interesting part of old buildings is also small tower from where locals shaded warm oil or pine gum on intruders and pirates. While walking you will also get to the number of small stone churches and chapels. In the only hotel on the island in Donje Čelo you can rent bikes and kayaks and get to know the island from the outside too. You will love its cliffs and hidden caves. Kayaking around the island will take approx. 3 hour. To walk the whole island around will take your approx. 4 hours. All in all, Koločep Island is ideal for families with children who want to enjoy family moments away from the crowd and in beautiful natural environment. It is also great for couples who want to escape from hustle and bustle of modern life. So, if you want to escape from crowded places and rivers of tourist and truly enjoy, Koločep Island is a place for you. Do not miss to visit Dubrovnik, so spend one or two days there and take the first ferry to Kolocep. Book your place to run away and switch off your phone. You will not regret. Our tip: no matter how hard it could be for you try to wake up early in the morning. Say hello to the rising sun. Walk through the pinewoods and take your first swim in beautiful Adriatic see. That one single morning on Koločep Island will be one of the memories you will keep for lifetime!